Should the dance craze continue for one year longer, the writer will issue an enlarged edition before January 1, 1915, containing the dances as danced up to that dime [sic]. All persons having new dances are requested to send us a copy on or before December 1, 1915. Dance teachers responded in droves, tripling the number of listed contributors to forty-five, and enabling Clendenen to more than double the size of his book. An enlarged second edition of Dance Mad duly appeared, with updates scattered through the existing sections and more than fifty pages of new dances for the 1914-1915 season. The introduction to the new dances is dated August 15th, 1914. Comparing the two editions offers an interesting snapshot of what new dances first appeared or were publicized during the "dance craze" year of 1914. The first edition of Dance Mad is available online via Google Books. Pages thirty-one and thirty-two are missing, but the table of contents tells us that they contained tango steps. There are four main sections of dances and dance sequences: tango, maxixe, waltz (including Boston, hesitation waltz, and combinations), and Castle walks. There are also a few one-steps and schottisches, a three-step, an early appearance of directions to the Texas Tommy, and a short sequence reminiscent of the Washington Post. Philadelphia dancing master Albert W. Newman made a sizable contribution with a set of dance instructions drawn directly from his own book, Dances of To-Day, which appear together rather than in the sections for each dance. 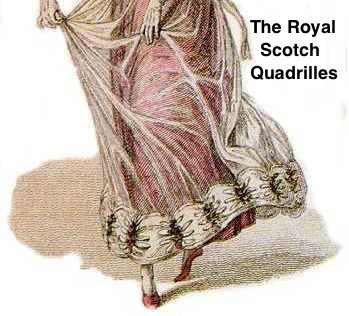 Most of this material reappears unchanged in the second edition, though the order has been rearranged, there are minor changes of layout, and the accompanying illustrations have been unpredictably redistributed among the dances. The front material is identical. The section on tango steps is greatly expanded. 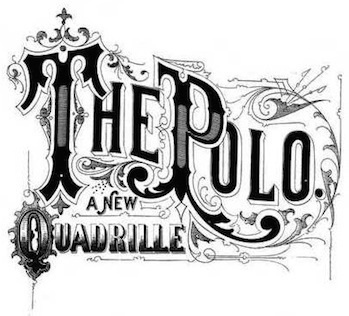 A new maxixe sequence appears, along with a Brazilian polka. The largest addition is a wide array of new hesitation waltz sequences. There are also some new one-step sequences. 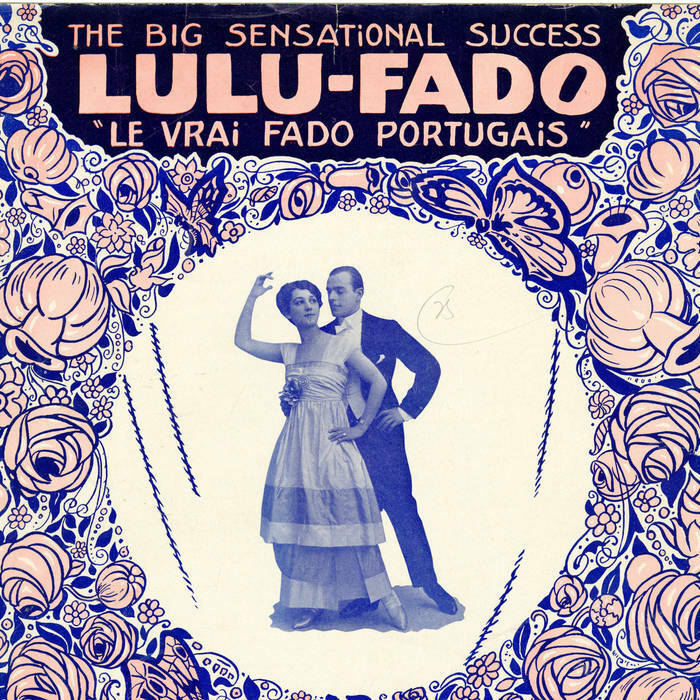 But the new dances of greatest interest are the representatives of some of the very latest dance fads: a gavotte, several half and halfs, the Ta Tao, different versions of the Furlana and the Lu Lu Fado, and, most importantly in the overall history of dance, two brief sets of directions for the foxtrot. The One-Step Canter and Waltz Canter is generally danced in the East. The Hesitation not often seen. Maxixe quite a favorite. Half and Half will be a favorite wherever taught. In conclusion, if you want to be up-to-date, teach Waltz Canter, One-Step and Canter, Half and Half and Maxixe. We are also having many calls for Lu Lu Fada and Brazilian Polka. We are in weekly communication with the best teachers in Argentina, Paris and London, therefore we get the new dances as danced there as fast as they become popular. We have the original Maxixe, not what is called Maxixe. As it is quite lengthy we have left it for future work. The second edition replaces two and a half pages of tango steps with a six-page stage tango and then adds twenty-two more pages of descriptions of steps for the Argentine and Parisian Tango. Also included is a transcription of directions for a nineteenth-century tango by Markowksi, the same one described by Charles Durang in The Fashionable Dancer's Casket (Philadelphia, 1856), but using less technical language, and a brief blurb titled Mine the only correct tango. A Butterfly Tango No. 2 appears in the index of both editions, but not in the text of either. Maxixe No. 2 "As Danced in Paris"
The second edition adds the Brazilian Maxixe to this section. A maxixe also appears in the miscellaneous dances below along with a Brazilian polka and a version of the Lu Lu Fado. In addition to the above, in the second edition, nineteen new waltz sequences appear elsewhere in the book, mostly in the New Dances section. These are listed under the miscellaneous dances below. This section is not marked as a specific type of dance. It contains tangos, hesitation waltzes, Bostons, and the Texas Tommy, and is identical in both editions. The second edition wedges a few more dances into random corners of the book, but most appear in the largest new section, the forty-eight-page New Dances 1914-1915, which contains a little of everything. I will list the additions below sorted by dance type. Those in bold are scattered throughout the book rather than being included in the New Dances section.